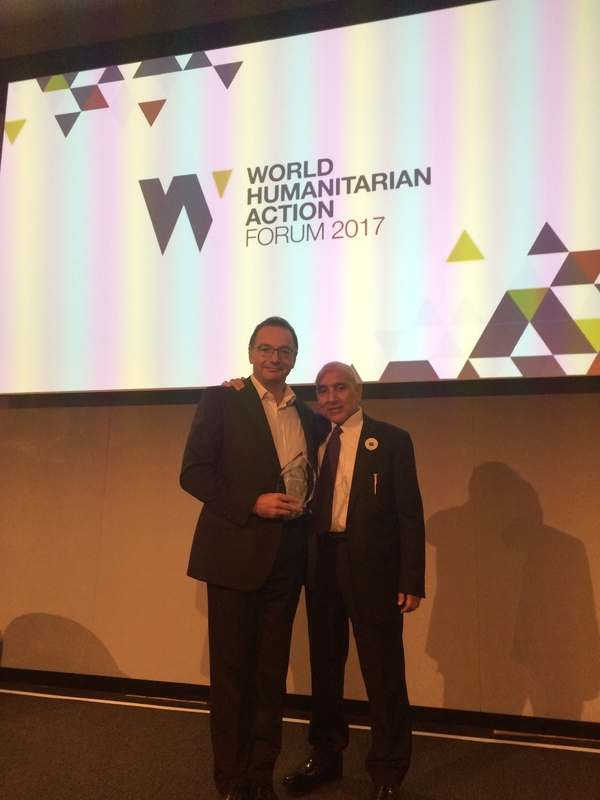 The World Humanitarian Action Forum 2017 (WHAF) took place in Westminster yesterday, and served as a opportunity to bring together humanitarian organisations to work together on key issues effecting the industry. Dr Stuart Gordon, Programme Director for International Development and Humanitarian Emergencies at the LSE, led the first roundtable discussion with the Humanitarian Policy Group at The Overseas Development Institute (ODI). He also received an award from Dr Hannibal Al Barri, chairman of the World Humanitarian Forum, for supporting their work with research in Syria. Dr Dorathea Hilhorst also chaired a session which was administered with the help of LSE International Development Students, Jordan De Lorenzo, Stella Peisch and Alaa Shelbiai. The session was well attended and included four IDHE students as well as a couple of alumni from the department in the audience. 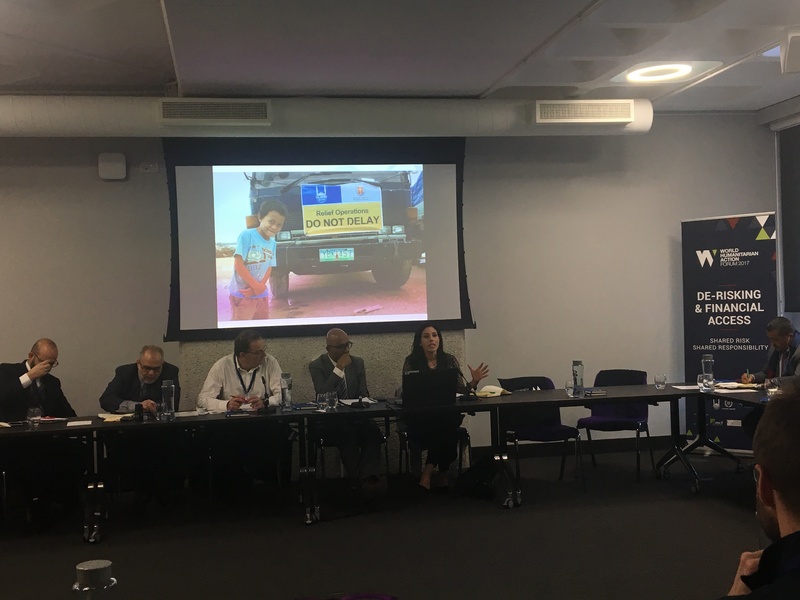 The WHAF served as a platform to develop strategies for informing policy on key issues affecting humanitarian organisations and aimed to develop joint initiatives and campaigns for collaborative working at local, national and international levels. The discussions will contribute to improving the way in which life-saving humanitarian assistance is provided to millions of people in conflict zones and humanitarian emergencies across the world. Organisations involved include: Humanitarian Policy Group at The Overseas Development Institute (ODI) and The London School of Economics, supported by Islamic Relief Worldwide, Al Rayan Bank, Human Appeal, Al Khair Foundation, Human Security Collective, Charity & Security Network, The Norwegian Refugee Council, Muslim Charities Forum, NEAR Network and supported by The Humanitarian Leadership Academy, Christian Aid, CAFOD, and the British Red Cross.